Powerful tool suitable for both aluminium and steel rivets up to 3/16″. Supplied with four riveting nozzles and two spanners. 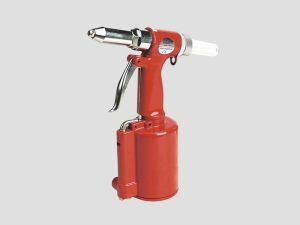 Trigger operated riveter with hardened steel jaw assembly and rivet shaft safety cap.